It's that time again! When I share my favorite bits and bobs that I have been using a lot from the pervious month. 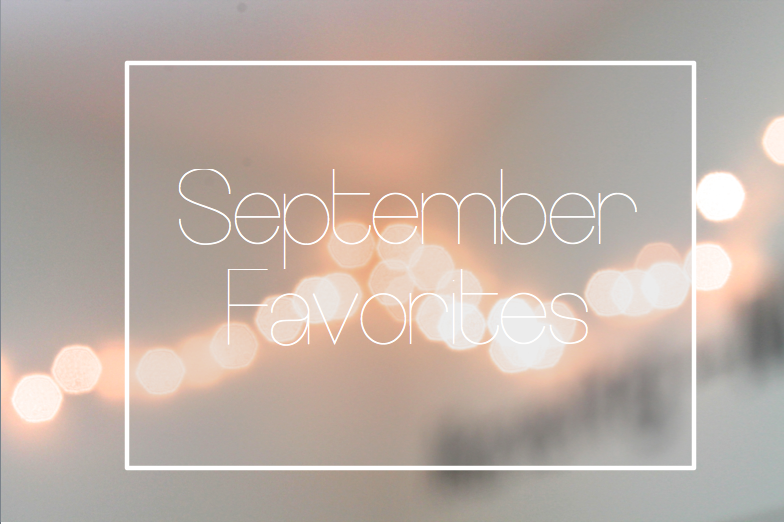 The month of September was a hectic one with many mid-term exams, assignments and projects. I wish I could say I'm done with all that stress but I have a feeling it is just the beginning. Although I am looking forward to this month because I have a lot of great things planned for this blog as well as the different organizations I am a part of. I talked about my fragrance collection here and this scent was mentioned briefly. I recently got it has a gift from my lovely mother. She sent me a surprise package with a lot of great goodies. This perfume was one of the many things she got for me. I love how sweet it is without being too overwhelmingly strong. This eye shadow palette was also one of the things my mum sent me and it has been my go-to when I rarely decided to wear make-up this past month. I love the gold-bronze shades and it works beautifully with my skin tone. My trusty Ray-Bans really came through during September. Even though it is officially autumn there has been quite the amount sunlight. Everyone knows my obsession with Chimamanda Ngozi Adichie and I recently made it my personal mission to read every publication by her. The Thing Around Your Neck is a collection of short stories with different characters, settings, messages and so forth. Each story is extremely captivating. My only regret is when a story is over it leaves you wondering, "what happens to the characters" "Do they end up happy or sad?" I need more! This novel is a short and easy read and I highly recommend it. I'm a tea maniac and I've tried all kinds of tea from the extremely odd flavors to the simplest. I even drink tea during the summer when it is scorching hot. During the month of September I went back to the classics with Lipton natural black tea. Love the makeup palette and the ray bans!! I am also obsessed with Chimamanda Ngozi Adichie and I've heard so many good things about that book, can't wait to read it myself! Great picks! I'm also in love with that Marc Jacobs perfume, it's really light and fresh! Can't leave home without my trusty Ray-bans! I need a new neutral palette for my eyes, which one is this? You have such a pretty blog!! Thanks for the recs - will have to try some out!